Anaphora (pronounced uh–naf-er-uh) is when a certain word or phrase is repeated at the beginning of clauses or sentences that follow each other. This repetition emphasizes the phrase while adding rhythm to the passage, making it more memorable and enjoyable to read. For example, imagine you are frustrated and tired with your friend, who is making the same mistakes over and over again. I’m sick and tired of you letting me down. I’m sick and tired of you making me mad. And I’m sick and tired of you doing such silly things! Through the repetition of “I’m sick and tired,” the phrase has become more emotionally-charged than before. Every single day you let me down. Every single day you make me mad. Every single day you do such silly things! Here, the repetition of “every single day” serves to emphasize just how often your friend frustrates you. As is shown in the above examples, anaphora is important in both everyday speech and in more serious rhetoric. Anaphora serves to emphasize certain ideas, which can stir up associated emotions and appeal to the audience in order to inspire, convince, or challenge. By adding rhythm to a passage, anaphora also allows for pleasurable reading which is easier to remember. Anaphora is a prominent feature of literature, from prose and poetry to plays and speeches. The repetition of “it was” emphasizes the age as one with a universal nature, including all positive and negative aspects of an era. The repetition of “there’s a bluebird in my heart that wants to get out” serves to emphasize just how constantly the speaker is aware of this presence, and of how often he pushes it away, refusing to let the world see it. The bluebird serves to symbolize a softer, more beautiful part of a gruff man who knows it is there but refuses to show the world, afraid of judgment or rejection. Anaphora is a common element of movies, television, advertising, and music. One of the most prominent areas for usage of anaphora is in song. 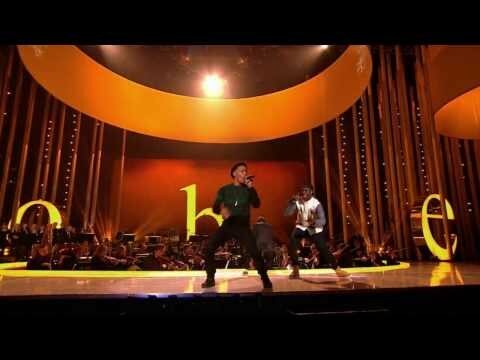 Nico and Vinz – Am I Wrong – LIVE and dancing with the audience! The repetition of “am I wrong” serves to note that the singer has had opposition and also adds a strong rhythm to the song, as the phrase is repeated throughout. Later, similar repetition is used for the artist to make the claim that he is satisfied with the way he is, regardless of what others believe. Ultimately, the song uses anaphora for a sense of rhythm and playfulness which serves to re-emphasize the meaning of the lyrics: there is nothing wrong with dreaming. With repetition of “We want,” Chaplin unifies the goals and needs of all human beings. Our knowledge has made us cynical. Our cleverness, hard and unkind. We think too much and feel too little. More than machinery we need humanity. More than cleverness we need kindness and gentleness. 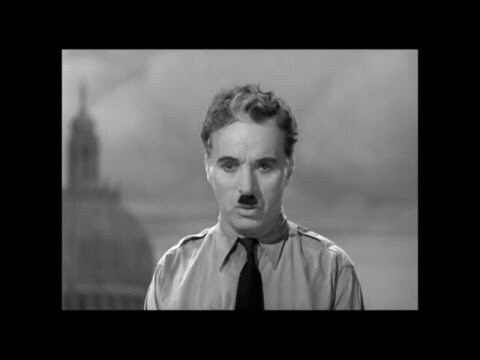 Here, Chaplin uses repetition of “our” to highlight that we as humans have a shared responsibility. With repetition of “more than,” he emphasizes that humanity, kindness, and gentleness are much more important than machinery and cleverness. You, the people have the power – the power to create machines. The power to create happiness! You, the people, have the power to make this life free and beautiful, to make this life a wonderful adventure. By repeating “You the people, have the power” and “the power,” Chaplin emphasizes that it each and every human being has power to create a better world. His rally cry reaches all listeners with anaphora which creates repetition, a powerful rhythm, and emphasis of what is most important to the speech. Like anaphora, epistrophe involves the repetition of a certain phrase or sentence. Unlike anaphora, though, epistrophe involves repetition of a phrase at the end of successive sentences rather than the beginning. Both anaphora and epistrophe serve to draw attention to the repeated phrase. Imagine a bully is being mean to your friends. You want to stand up to him. Be nice to my friends! Leave them alone! And go away! You better be nice to my friends! You better leave them alone! And you better go away! Be nice to my friends! Leave them alone—they’re my friends! And get away from my friends!